$55. 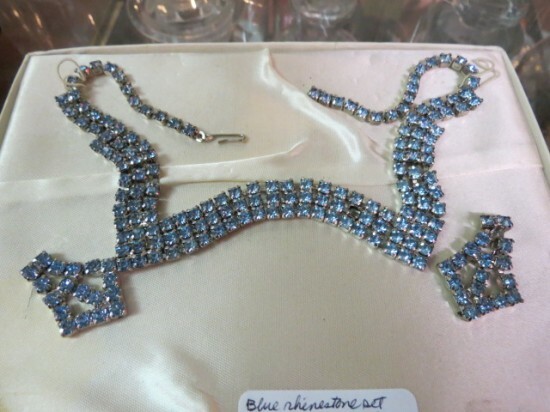 Vintage blue rhinestone necklace and earrings set, circa 1950s. Excellent condition.